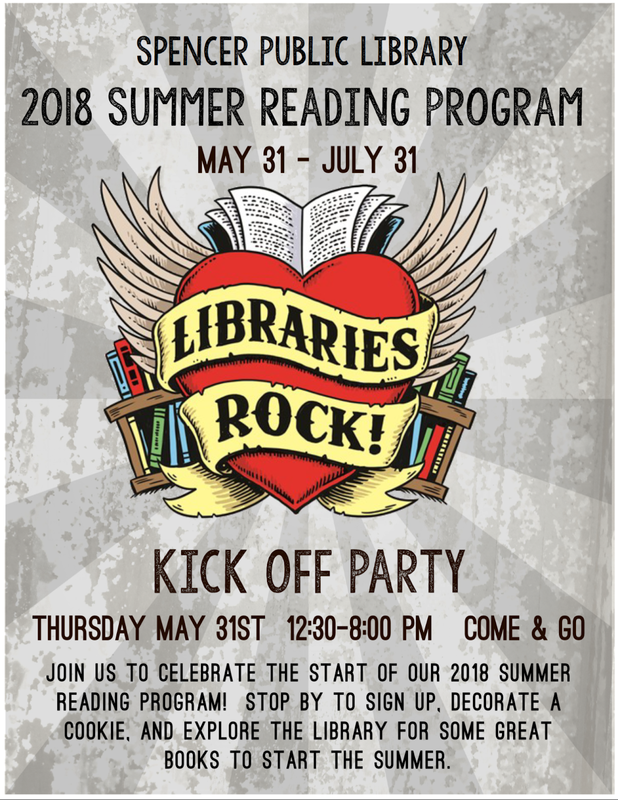 News at Spencer Public Library: Summer Reading for the Whole Family! Summer Reading for the Whole Family! Sign up for the summer reading program! Registration is based on four age levels: infant/early reader, school-age children, teens, and adults. The whole family can read to win cool prizes, attend fun programs, and enjoy an awesome summer at the library! Check out our website’s calendar and our Facebook page to keep informed on special programs.